A Division of Foss Lampshades, Inc.
Also see our lacing options. America's original rawhide lampshades since 1919. 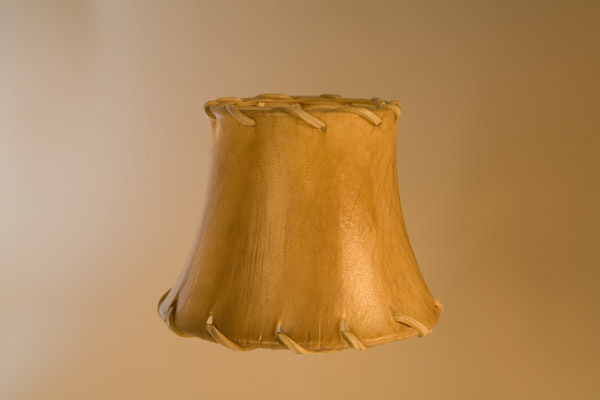 Unlike lower quality rawhide lampshades that split, our sheepskin lampshades are treated with a process which adds life to the skin to prevent cracking and bring out the natural beauty that only Fosskin shades have. An occasional wipe with a damp cloth is all that's needed to preserve our rawhide lampshades in like-new condition.